Out of the Box: Will the Shipping-Container Home Meet the Masses? Shipping-container home in Costa Rica. Courtesy Benjamin Garcia Saxe. A few years ago, architect Sean Burke, LEED AP, was working as a consultant in Seattle’s industrial SoDo District when he had an epiphany. He’d spent part of his days staring out the window at stacks of shipping containers and also thinking about small living spaces. At some point, the lightbulb clicked on, and he began planning and designing a shipping-container home to call his own. 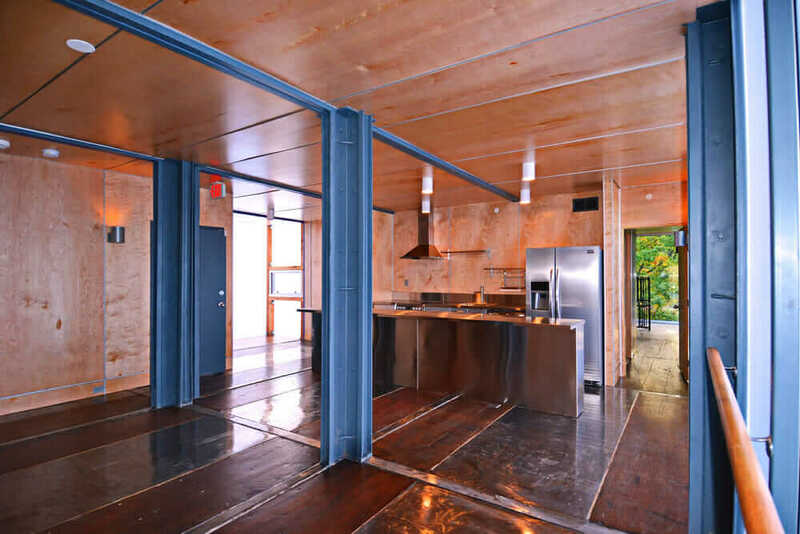 Shipping-container dwellings are not new, of course, but Burke decided to push the envelope with his design. Bento Box project drawing. Courtesy Sean Burke and Unboxed House. 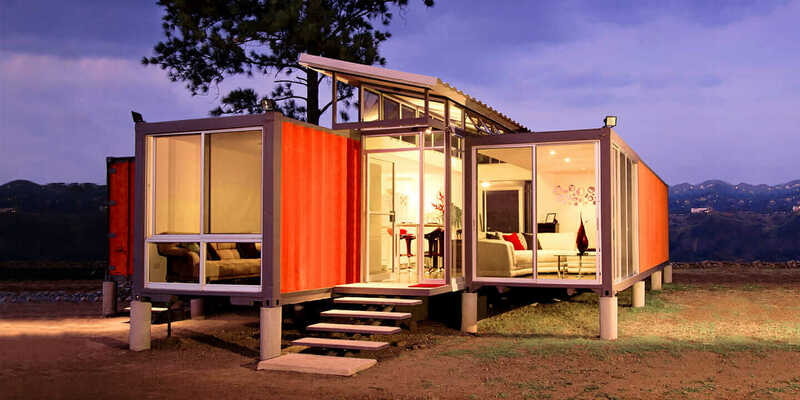 No longer simply industrial boxes or even showy boutique dwellings, shipping-container architecture has come of age. 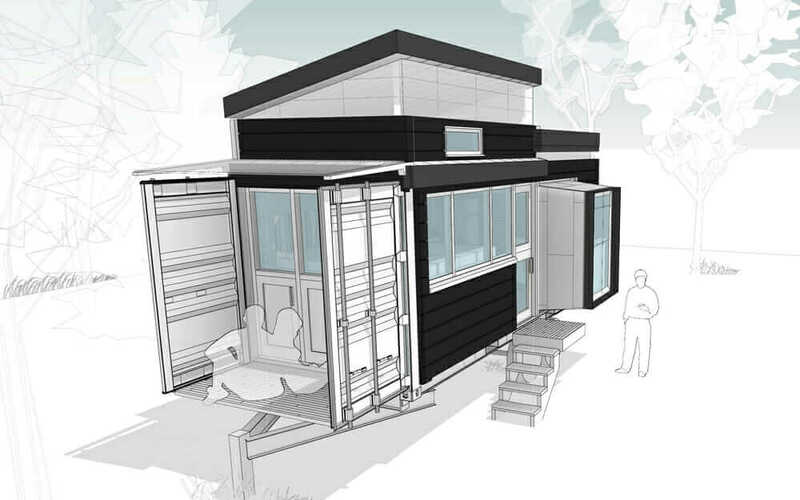 Ever since the first patent for a container house was issued in the late 1980s, the concept of converting these heavy steel units into housing has been growing in popularity. In terms of design, however, shipping-container residences have often looked just like themselves—stacks of rectangles with a few window and door openings thrown in. The uniform size of the average shipping container (usually 40 feet long by 8 feet wide by 9.5 feet high, for 320 square feet and 3,040 cubic feet of living/storage space) is both a blessing and a curse. Help your clients go green. SeaUA apartment building in Washington, DC. Courtesy Travis Price Architects. In terms of style and ambition, however, shipping-container homes have undergone a renaissance in recent years, with architects pushing the limits of design. Calling his blog and brand the Unboxed House, Burke sought to demonstrate that shipping containers could be viable as long-term primary living spaces and that they could behave more like large-scale LEGOs than simple stacking blocks. Using Autodesk FormIt 360 and Revit to work out the design for his Bento Box project, Burke popped out the end and side of his house (now under construction) and pushed up the top to add a shed roof, with a long bank of windows on one side. His budget? Only about $25,000. This kind of innovation is happening in other parts of the world, too, especially in areas where affordable housing is in demand. Five years ago, architect Benjamin Garcia Saxe created a shipping-container home in Costa Rica, for a family that wanted to live debt-free, using two reclaimed 40-foot shipping containers. But he offset them laterally and inserted a gap corridor in between, adding a slanted roof over the new section. This unusual shape, along with clerestory and floor-to-ceiling windows, made the space feel bigger. The project was a mere $40,000. SeaUA kitchen and living room. Courtesy Travis Price Architects. 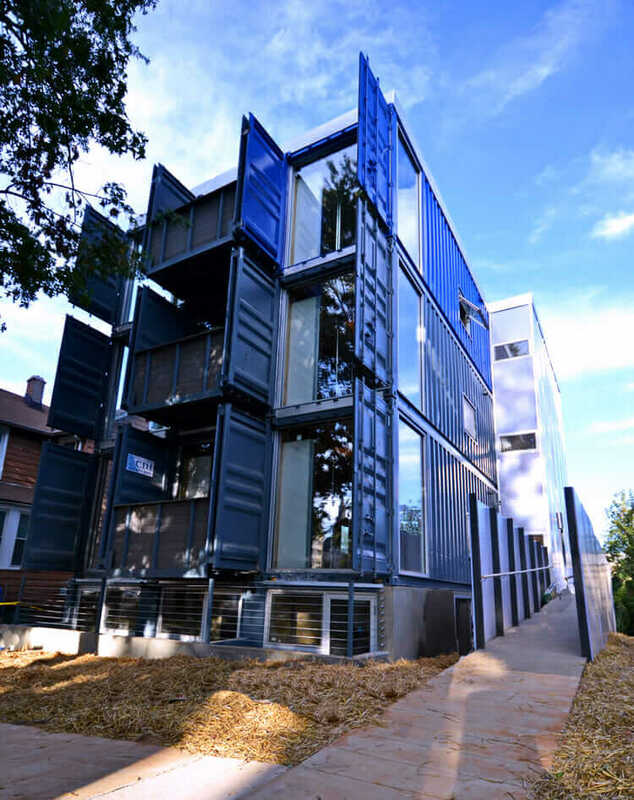 Meanwhile, the SeaUA apartment building near Catholic University in Washington, DC, which was completed in 2014, has three levels with six shipping containers each. Designed by Travis Price Architects (who used AutoCAD, among other products), the building employs the containers’ own features in ingenious ways, including welding open the container doors to create shade fins and replacing them with panels of full-height 9-foot glass. SeaUA apartment bedroom. Courtesy Travis Price Architects. The units need to be insulated, heated, and cooled, and installing those elements takes up space and requires some creative thinking because there is little wiggle room for hiding mechanical systems. Municipal zoning codes can also be a problem. Living in a shipping container home can be an adjustment for those used to larger houses. For Burke, however, the constrained space gives him a sense of security—the kind of enclosure and feeling of shelter that is often advocated by feng-shui practitioners. Burke calls himself a “claustrophile,” using a term associated with well-known small-house advocate Jay Shafer.